In my search for budget friendly spacecraft miniatures I came across Studio Bergstrom. They have a wide variety of spacecraft miniatures – some clearly inspired by popular franchises and others original creations. 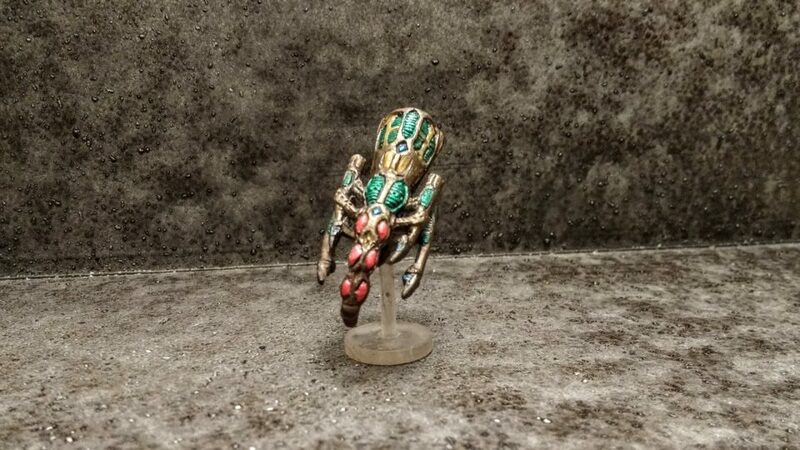 One of the miniatures I ordered from them was the Hive Devastator which, of course, I thought would be a great starship for an insectoid race. The Hive Devastator was fun to paint due to it’s details and shape. It is a heavier miniature so I’d recommend a sturdier flight stand than the one pictured here – I’ll probably switch bases once my latest order from Litko comes in. All in all, I think this will be a great starship for Starfinder and insectoid races like the Shirren.